Looking for something new to read? Today I’m sharing a few of the books that I’ve been reading this month and a short review so you can decide whether or not you wish to add them to your bookshelves! I’ve always been a reader but in the past year or two I’ve really gotten back into the habit. Between our great little local library, Thriftbooks, and Amazon, it seems that I always have plenty of books to fill my mind with new ideas! 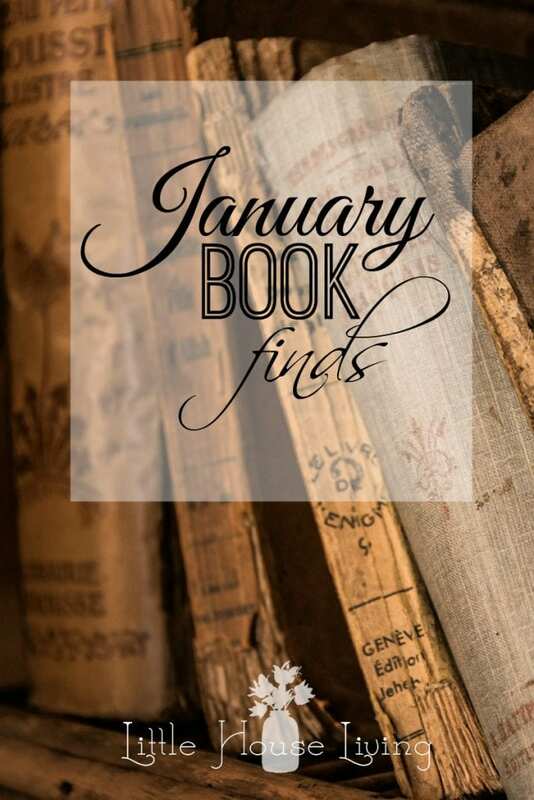 I thought that this year it might be fun to share my recent book finds with you just in case you are looking for your next read. P.S. Yes, I do read a lot! This book has been on my shelf for a while and I’ve already read it several times. There are SO many ideas in it for educating children and running a household that you can’t possibly glean it all in a single read! This time my focus was on the type of learners and how best to approach their schooling. As we are close to halfway through our first year of homeschooling, I found this topic particularly interesting this time around. I love this book and highly recommend it for any homeschooling family or anyone considering homeschooling. The idea behind this book sounded so intriguing…to stop using the internet for an entire year. And with the book written by the daughter of Carla Emery (The Encylopedia of Country Living), I had to check it out. While I found it to be an interesting story that I read through quickly, it was not the book that I was anticipating. The book was more of a personal memoir than a reflection and practical ideas for being away from the internet. I was hoping to gain some inspiration for our year of slower living but instead just found an entertaining quick read. Good, just not what I was hoping for. While our family is not Jewish, I appreciated this cookbook filled with healthy ideas. Most of the recipes look fairly simple and I love that most of them do not feature dairy. I love finding cookbooks with different cuisines since many of them will emphasize vegetables and I felt like this one did just that. I’m excited to try several of the recipes and I’ve already made the Apple Strudel because it looked so good! 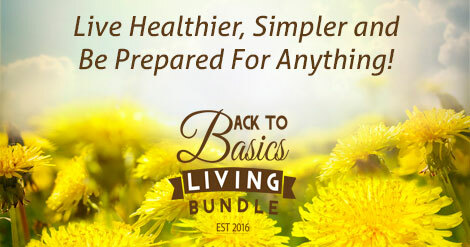 I already grabbed my Back to Basics Bundle (the deal just went live today!). I hope to read several of the books this month but I’ve already started on Kid’s 1 Homesteading Recipes and Make Maple Sugar. I can’t wait to check out all of the other books included in this bundle (59 total!) in the weeks to come. Steady Days is a collection of ideas on how to run a household and care for children. Each “chapter” can be read in minutes and features a short idea for your motherhood. I was hoping for some fresh ideas from this book but found the amount of paperwork it involved to be rather intimidating although some of the ideas did seem nice and there were some good ideas for making and keeping memories. If you are looking for a book that is a very easy read for busy days, this one would be helpful although I’m not sure the ideas could be very well implemented if you are already a busy mom. This was a book that both my husband and I had to check out. I would really love to have some water closer to my garden since our only sources right now are from the house or the barn, both are far away from the garden. Since wells can be very, very expensive, it will be neat to have this book as a reference if we do decide to add some additional water sources around our property. This has been an interesting read so far. If you are looking for a detailed handbook on how to physically move off the grid, this would be a good book for you. Although we don’t plan on doing it anytime soon, it was neat to get some new ideas that could help with our overall self-sufficiency. I shop for books on Thriftbooks and Amazon. I’m going to share Educating the Whole-Hearted Child in hopes that friends and relatives who already home school or are thinking about it will find it insightful and helpful. Also, Going Off the Grid is just too tantalizing to pass up! If you read mysteries, check out Donna Andrews (and Susan Wittig Albert, Alan Gordon, Joan Hess). I’m currently reading Die Like An Eagle (all her book titles have some connection with birds) and it’s totally hilarious. The main character’s twin boys are 6 or 7 and beginning to play baseball, which I can imagine will be coming up soon for your littles if it hasn’t already. I think you’d love her writing. This book is something like the 20th in the Meg Lanslow series. And I’m hoping your library or book store will have some of Andrews’ books! I will check those out, thanks for the suggestions! Books can be a frugal hobby if you get most of them from the library. I just read Little Women, the unabridged version. I recently bought one book at a antiques store that was selling discounted Ten Thousand Village merchandise. If I buy books, I make sure that I will reread them in the future.